Atomic/optical emission spectroscopy(ICP-AES/OES), MASS Spectrometers(ICP-MS). An inductively coupled plasma (ICP) or transformer coupled plasma (TCP) is a type of plasma source in which the energy is supplied by electric currents which are produced by electromagnetic induction, that is, by time-varying magnetic fields.. Plasma electron temperatures can range between ~6 000 K and ~10 000 K (~6 eV - ~100 eV),comparable to the surface of the sun. ICP discharges are of relatively high electron density, on the order of 1015 cm−3. As a result, ICP discharges have wide applications where a high-density plasma (HDP) is needed. · ICP-AES, a type of atomic emission spectroscopy. · ICP-MS, a type of mass spectrometry. · ICP-RIE, a type of reactive-ion etching. · Exciting a beam of noble gas to the metastable state. Another benefit of ICP discharges is that they are relatively free of contamination because the electrodes are completely outside the reaction chamber. By contrast, in a capacitively coupled plasma (CCP), the electrodes are often placed inside the reactor and are thus exposed to the plasma and subsequent reactive chemical species. 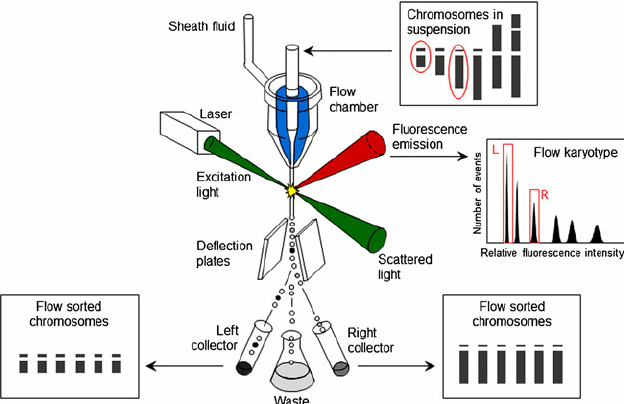 Inductively coupled plasma atomic emission spectroscopy (ICP-AES), also referred to as inductively coupled plasma optical emission spectrometry (ICP-OES), is an analytical technique used for the detection of trace metals. It is a type of emission spectroscopy that uses the inductively coupled plasma to produce excited atoms and ions that emit electromagnetic radiation at wavelengths characteristic of a particular element. 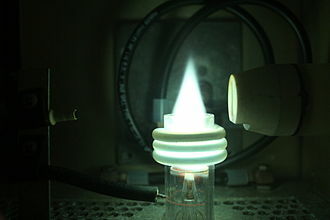 It is a flame technique with a flame temperature in a range from 6000 to 10000 K. The intensity of this emission is indicative of the concentration of the element within the sample. The ICP-AES is composed of two parts: the ICP and the optical spectrometer. The ICP torch consists of 3 concentric quartz glass tubes. The output or "work" coil of the radio frequency (RF) generator surrounds part of this quartz torch. Argon gas is typically used to create the plasma. Examples of the application of ICP-AES include the determination of metals in wine, arsenic in food, and trace elements bound to proteins. ICP-OES is widely used in minerals processing to provide the data on grades of various streams, for the construction of mass balances. In 2008, the technique was used at Liverpool University to demonstrate that a Chi Rho amulet found in Shepton Mallet and previously believed to be among the earliest evidence of Christianity in England, only dated to the nineteenth century. ICP-AES is often used for analysis of trace elements in soil, and it is for that reason it is often used in forensics to ascertain the origin of soil samples found at crime scenes or on victims etc. 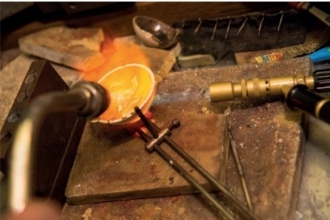 Taking one sample from a control and determining the metal composition and taking the sample obtained from evidence and determine that metal composition allows a comparison to be made. While soil evidence may not stand alone in court it certainly strengthens other evidence. 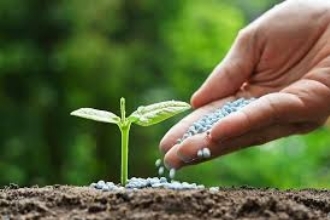 It is also fast becoming the analytical method of choice for the determination of nutrient levels in agricultural soils. This information is then used to calculate the amount of fertiliser required to maximise crop yield and quality. 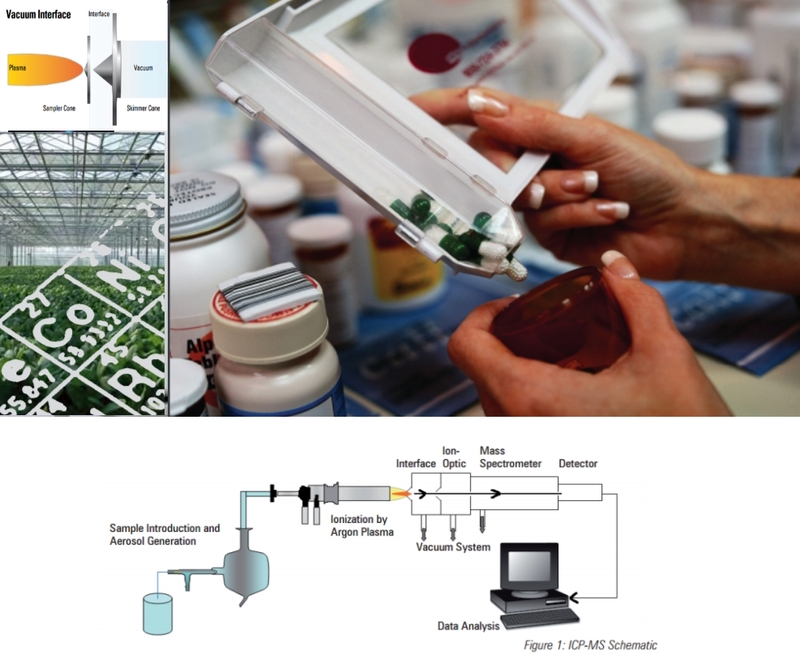 ICP-AES is used for motor oil analysis. Analyzing used motor oil reveals a great deal about how the engine is operating. Parts that wear in the engine will deposit traces in the oil which can be detected with ICP-AES. ICP-AES analysis can help to determine whether parts are failing. In addition, ICP-AES can determine what amount of certain oil additives remain and therefore indicate how much service life the oil has remaining. 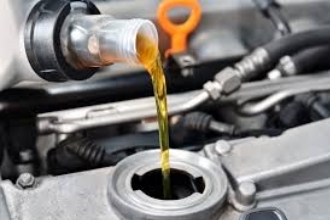 Oil analysis is often used by fleet manager or automotive enthusiasts who have an interest in finding out as much about their engine's operation as possible. ICP-AES is also used during the production of motor oils (and other lubricating oils) for quality control and compliance with production and industry specifications. 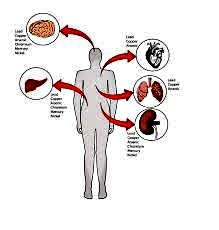 Inductively coupled plasma mass spectrometry (ICP-MS) is a type of mass spectrometry which is capable of detecting metals and several non-metals at concentrations as low as one part in 1015(part per quadrillion, ppq) on non-interfered low-background isotopes. This is achieved by ionizing the sample with inductively coupled plasma and then using a mass spectrometer to separate and quantify those ions. In 2007, a new type of protein tagging reagents called metal-coded affinity tags (MeCAT) were introduced to label proteins quantitatively with metals, especially lanthanides. The MeCAT labelling allows relative and absolute quantification of all kind of proteins or other biomolecules like peptides. MeCAT comprises a site-specific biomolecule tagging group with at least a strong chelate group which binds metals. 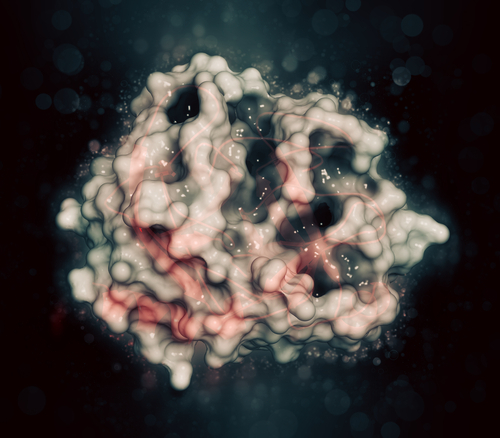 The MeCAT labelled proteins can be accurately quantified by ICP-MS down to low attomol amount of analyte which is at least 2–3 orders of magnitude more sensitive than other mass spectrometry based quantification methods. By introducing several MeCAT labels to a biomolecule and further optimization of LC-ICP-MS detection limits in the zeptomol range are within the realm of possibility. Powerful and cost effective alternative to sequential ICP and FAA spectrometers. Simultaneous spectrum capture in the 175-770 nm wavelength range - more than twice the sample throughput compared to sequential instruments when more than 10 elements are analyzed. Low operating cost - optical system requires only 0.5 L/min purge gas while still offering superb analytical performance in the UV spectral range. Factory methods can be provided for standard applications - "Plug and Analyze" without the need for method development. Most accurate results and highest sensitivity thanks to superior UV performance and constant resolution. Faster out of the gate: less than 10 minutes warmup time (previously over 30) with the new LDMOS generator. Axial or radial plasma observation. Next generation plasma power, Laterally Difussed Metal Oxide Semiconductor (LDMOS) generator, delivers up to 2000W. High power gives great matrix compability at highest plasma loads previously impossible. Can actually analyze volatile organic samples such as gasoline at room temperature ! Sample can be analyzed in lower dilutions, for lower limit of detection. Extremely robust and trouble free, with advanced design that is completely short-cut-proof. Air-cool system without external cooling, delivering low running costs. Have no parts subject to wear - minimizing time and expanse. Stablilize much more quickly in less than 10 minutes, ready to start most measurements. Free-running generator with a frequency of 27.12 MHz, 0.7-2.0kW power output utilized. For constant plasma power independent from plasma load. Perfectly suited for volatile organics and high dissolved solids. Energy and argon-saving standby mode. 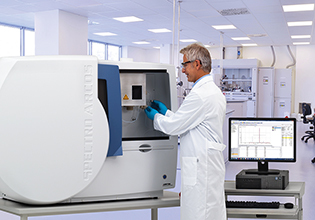 Independently adjusts the resonance frequency, holding the effective plasma power constant over a wide range of sample loads - Characterized by its robustness, reliability and stability. Extremely short fluid paths ensure short measurement and flush times. Thermally insulated illuminated compartment provides plenty of room to accommodate a large variety of sample introduction system. Preadjusted setup makes for rapid startup, without the need for comprehensive optimization. Maintenance friendly sample introduction system. Radial (SOP) or Axial (EOP) plasma observation. 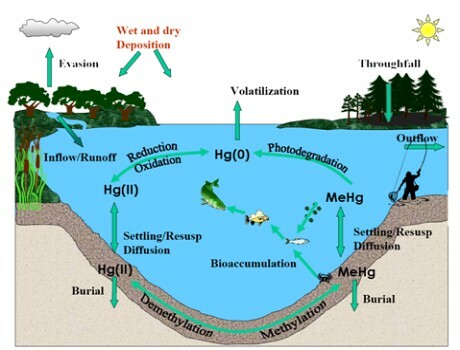 - Less sensitive to high matrix concentrations and the influences from organic matrices. - Smaller observation volume for major elements high precision determinations applications. - Evaluates the entire emission zone, facilitating the analysis of trace contents. - OPI (Optical Plasma Interface), a bayonet connection simplifies the use. - Usually 10 times better detection limits without the matrix interferences than other axial observation. - Over 10 years proven. Covers the entire relevant wavelength range from 175 to 777 nm. Aluminum hollow section Design quarantees high thermo stability measurement results. Small optic volume guarantees short start up times and a purge rate of less than l/min for measurements in the UV range (<200 nm), purged with Argon - optionally Nitrogen. Line-rich spectra can be more easily processed. Delivers 8 picometers(pm) resolution in the important range of 165nm-285nm. 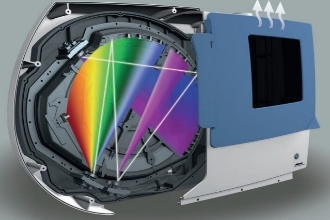 Delivers 16 picometers(pm) resolution in higher wavelengths. A twin-interface version enables automatic axial and radial observations. UV gas purification system: Argon circulation and cleaning system for sealed optical chamber. Recirculating gas througth a small cleaning catridge,good for 2 years of life. 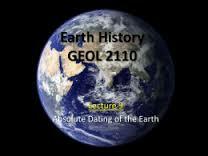 (typically more than S3000 per year that also may risks system comtamination). Helps achieve high stability and excellent low wavelength performance. Provides stable analytical results immediately without purge delay and startup. Continuously monitors the optical system and normalizes the wavelength scale. Calls for an ICALization (measurement of the ICAL standard) if changes are noticed. Carried out by the control logic if the instrument is in automatic operation mode. Methods can be easily transferred among instruments, great for multiple systems of the same type running. Methods for numerous and widely varying applications can be developed and offered as factory methods. Up to 8 orders of magnitude large dynamic range detectors. Possible to process concentrations from ppb % range without blooming effects. High speed readout system, parallelled digital signal processor units. Recording and evaluation of the complete spectrum in less than 3 seconds. No complicated, costely external colloing. 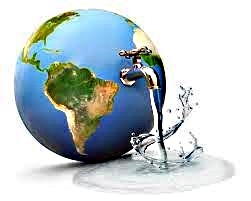 No water chiller necessary, saving thousands while eliminating chiller breakdown risk. No optic purge gas required, saves thousands per year. The only known completely air-cooled ICP-OES analyzer, the unique innovative OPI-AIR interface. Saves users from having to buy, install, power, and maintain an elaborate expensive, and often short-lived external cooling system. Offers theuser clear, structured and easy to understand control of all instrument functions. Consists of six main modules for manual, automatic and transient measurements, spectra viewing, method development and general configuration. 1-click routine operation and assistants for the less frequently used options are available. Even analytical method creation is simplified vai intelligent assistants/wizards, default settings, and predefined templates. With dockable windows and tool bars, the user interface can be customized to specific information requirements and personal preferences. Data and measurement results are stored in ODBC compatible databases facilitating integration with a LIMS. 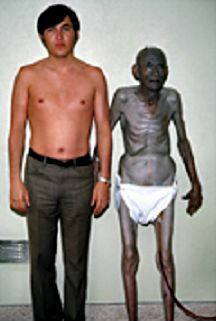 The complete full-spectrum is stored for every measurement, that leads to the unique possibility of reprocessing/recalculation/re-evaluating the measurement results at a later time. All of the measurement parameters, e.g., element and line selection can be edited and changed as required. Provide easiest possible operation, offering manual, prompteed manual, or fully automatic analysis, for personnel with minimal training. Fully compatible with US EPA, CLP as well as other standards and methods and includes an US FDA 21 CFR Part 11 compliant user and data management. Availiable with a complete factory calibrated method set, ready with no need for initial method development. Swiftly and accurately assesses component wear trends, detecting additives, wear elements and contaminants. Industrial-grade durability, and surpringly affordable to purchase and operate. Moderized ergonomic design fits on any standard laboratory bench. Polyurethane/aluminum construction resistant to chemicals and corrosion. Include thoughtful layout features, as ultra-short fluid paths. Easy, safe accessibility to components from both sides and front. For fast, convienient service or For fast, convienient service or maintenance. Robust dry vacuum system and zero-maintenance, free-running, generator. Sample chamber can be accessed by sliding the front cover to the side. Rapid exchange of the entire sample introduction system or its individual components. Virtually every combination of nebulizer and spray chamber is possible. Easily developed by attaching chromatographs, ultrasonic nebulizers or laser ablation systems. Double-focusing sector field ICP-MS based on a Mattauch-Herzog geometry with a newly developed ion optic and pioneering detector technology. With a permanent ion beam going to the detector. ICAL system logic for continuous optimal operation. 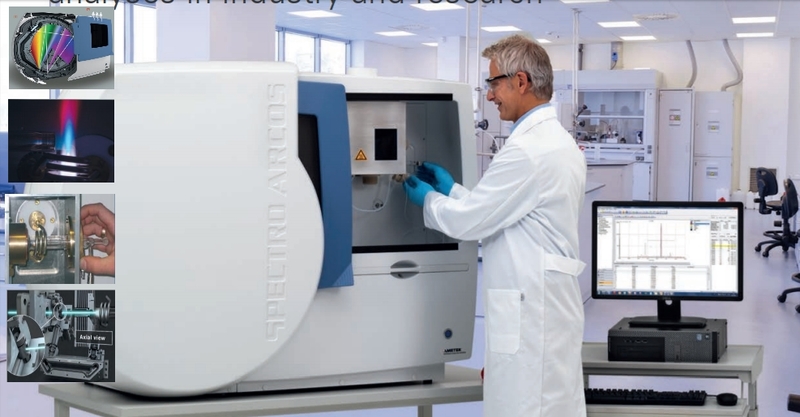 Capable of simultaneously measuring the complete mass range used for inorganic mass spectrometry from 6Li to 238U. Storage of the data for the complete mass spectrum enables unprecedented flexibility regarding method development and reprosessing. Possible to later determine elements in a sample even when the sample no longer exists. First ICP-MS with simultaneously element contents and isotope ratio analysis in the entire mass range from Li to U. Clearly better precision for development of new application areas. Leading in productivity and profitability with high sample throughput rate. Sets new standards for fully simultaneous analysis, simple operation and highest reliability. Tremendous ion detector readout that achieves excellent detection limits, precision and accuracy. Compatible with EPA, FDA, CLP and 21 CFR Part 11 as well as other standards and guidelines.